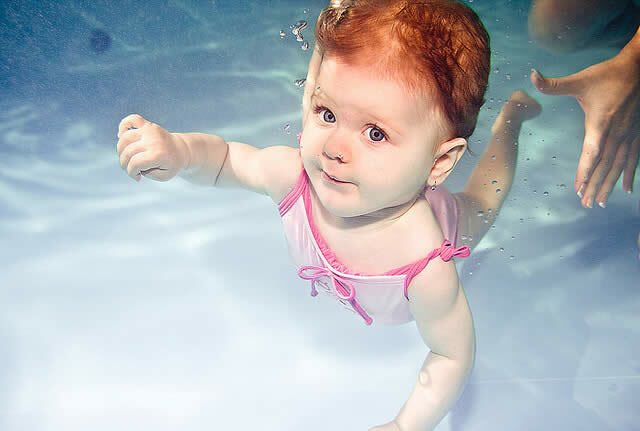 Babies and very young children (up to 18 months) have great reflexes when it comes to underwater swimming. 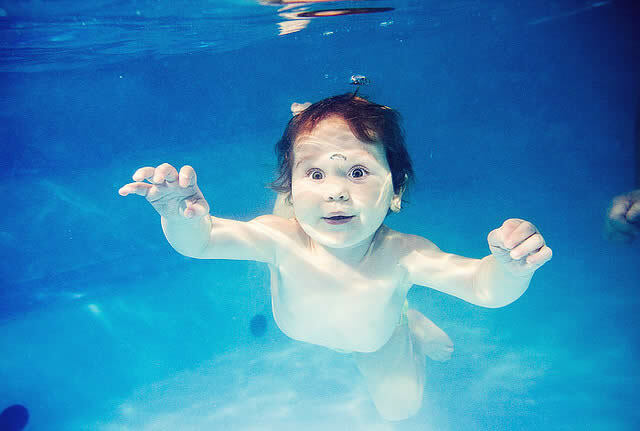 They instinctively hold their breath – the epiglottis closes over and blocks the throat so no water can get through. 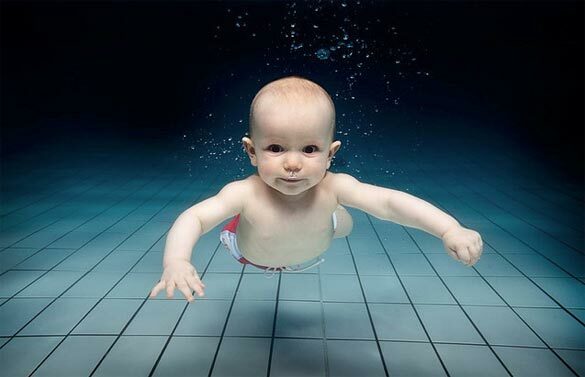 Babies can swim underwater all natural, with fresh memories still from the mother’s womb. 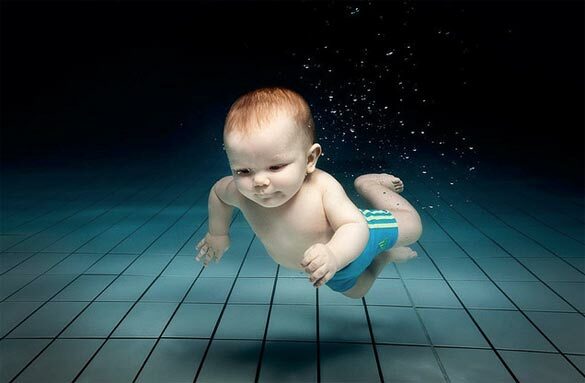 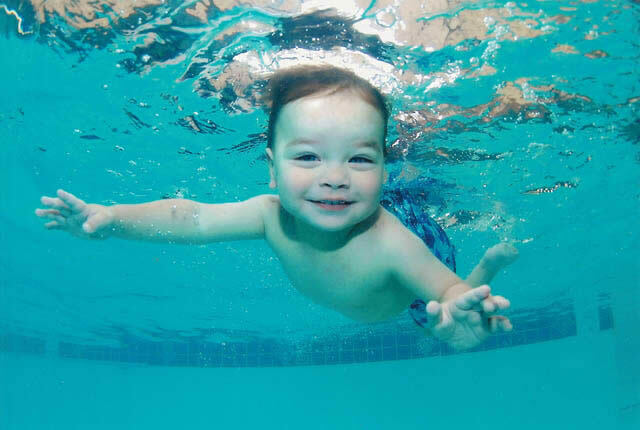 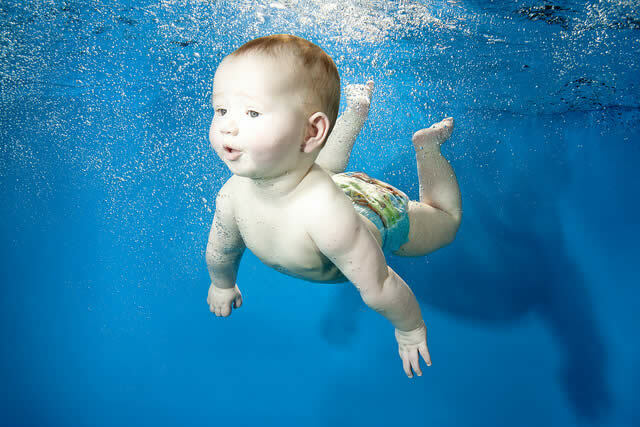 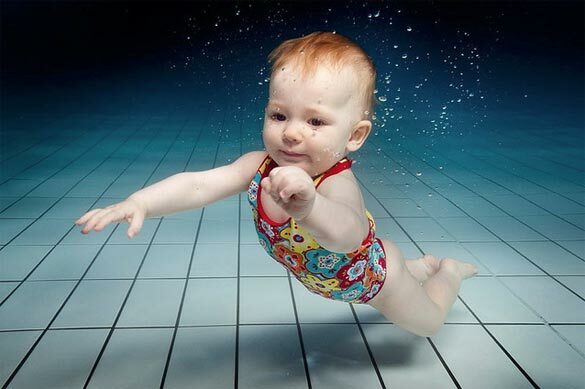 Underwater swimming has become a fashionable, and very healthy, sport for babies nowadays. 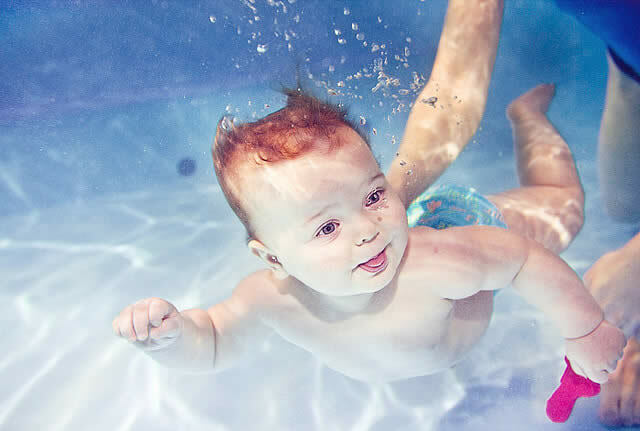 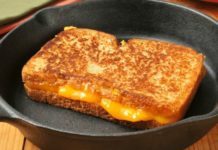 It’s not only medically recommended, but also a lot of fun and extra cute. 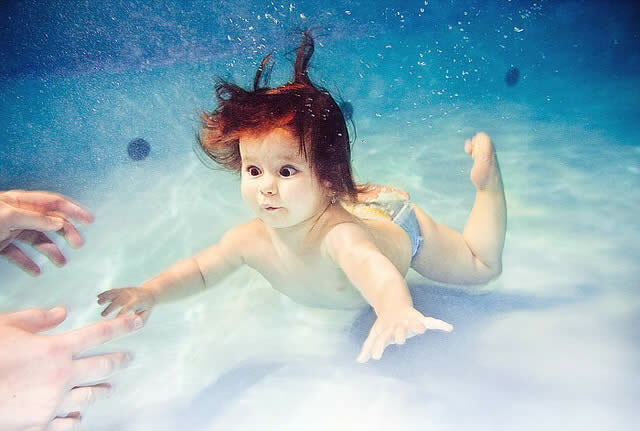 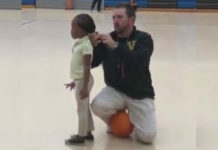 Such moments from the early life of a child must be immortalized and kept for ever. 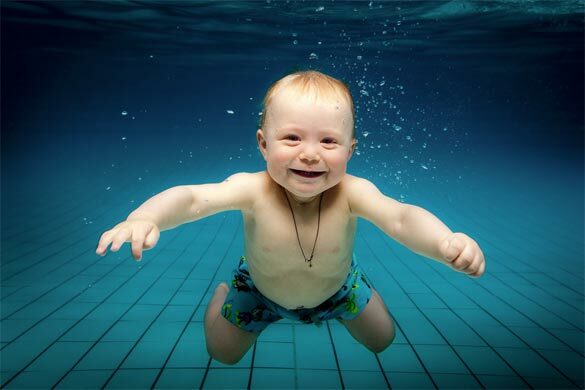 The following showcase delightfully presents adorable and innocent babies, ready for their swimming lessons!